The fact that the killer, Daniel James Tor, played Eeny, Meeny, Miny Mo to decide which of the twins to take with him has always haunted Atlee. 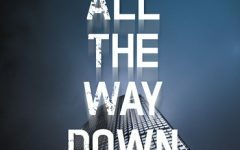 Atlee’s grim backstory may be her cross to bear, but her uncanny ability to interpret a few sparse clues about a seemingly unimportant missing person and a gutted mule puts her in the middle of a geopolitical chess game. 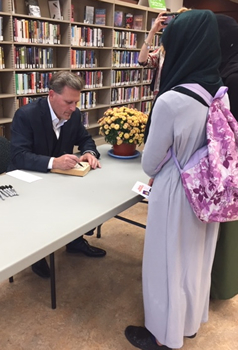 Baldacci has put a unique group of characters around Atlee. One is Carol Blum, Atlee’s prim, middle-aged office assistant. In most thrillers there’s a guy in the middle of the action. Or a guy and a gal. Or two guys. It’s almost never two women, and certainly not two women of different generations. Stark’s way of breaking through Atlee’s emotional vault: he asks her to help him restore a 1967 Ford Mustang. In LONG ROAD TO MERCY, many of the players who could create world-ending geopolitical conflicts—Russia, North Korea, and yes, the United States—are taken out of their usual arenas—Washington, DC, and other world capitals—and placed where you’d least expect them: a lone outpost deep in America’s heartland. Baldacci also introduces a formidable adversary for Atlee: Sung Nam Chung, a North Korean assassin. 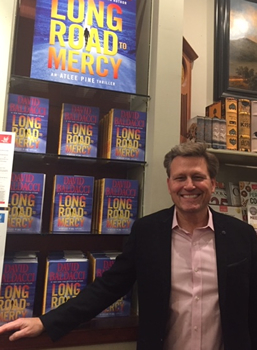 LONG ROAD TO MERCY is winning praise from all corners: critics, booksellers, readers, and other authors. 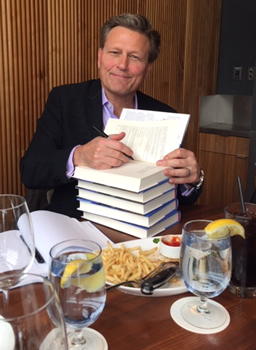 For Baldacci, it means he can keep moving between universes: Atlee’s, as well as that of Amos Decker, whose third novel was released last spring. 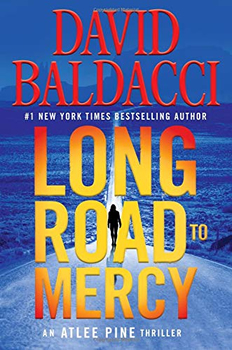 You can hear a more extensive version of Josie Brown’s interview with David Baldacci on her Author Provocateur podcast.